Putting together your first audio system but don't know where to start? Want to upgrade a system that has never made you happy? 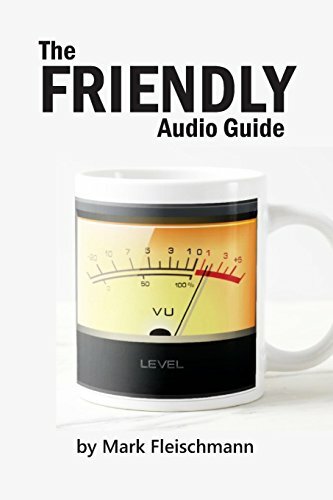 Audio critic Mark Fleischmann has written this very brief how-to guide expressly for beginners and anyone else who needs to decode the technical rhetoric surrounding audio gear. In addition to the basics of loudspeakers, amplifiers, digital sources, turntables, and other products, he also offers pragmatic advice on how to put together a system, how to set up a system, how to collect a music library, and the act of listening itself. Mark was the audio editor of Home Theater and Sound & Vision and has written for Rolling Stone, The Village Voice, and many other publications. He is also the author of Practical Home Theater. If you have any questions about this product by Quiet River Press, contact us by completing and submitting the form below. If you are looking for a specif part number, please include it with your message. By Thames & Hudson, Inc.